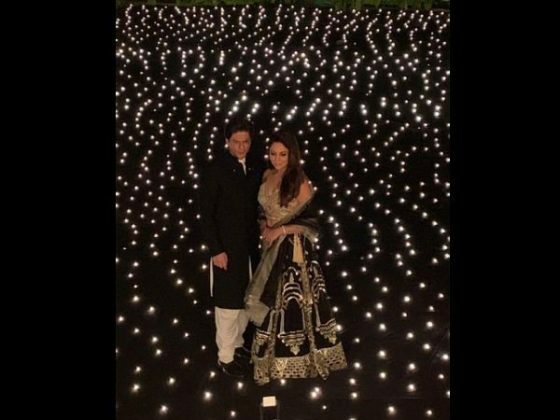 As Diwali is around the corner, B-town celebrities are already in celebration mode. 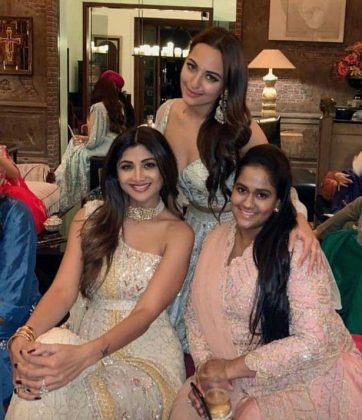 You might have been sleeping these nights but the entire Bollywood is prepped up and is all set to enjoy festive vibes at their best. Superstar Shah Rukh Khan and his wife Gauri Khan hosted a star-studded Diwali bash at their Mumbai residence, Mannat. 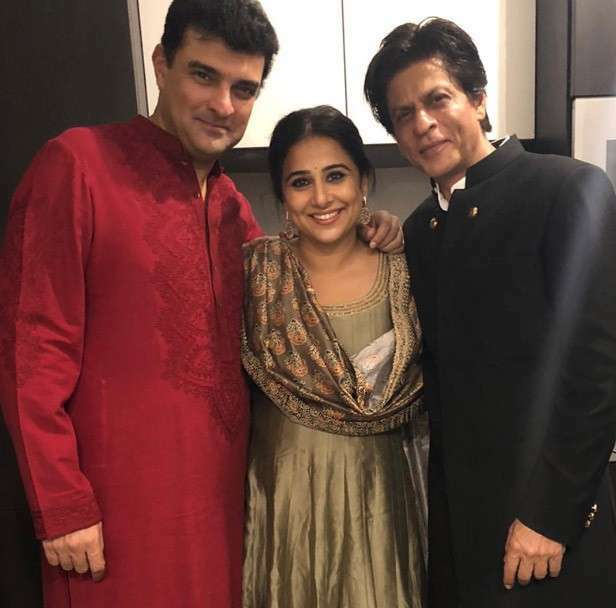 SRK Diwali Bash started late in the night and B-town biggies marked their presence. 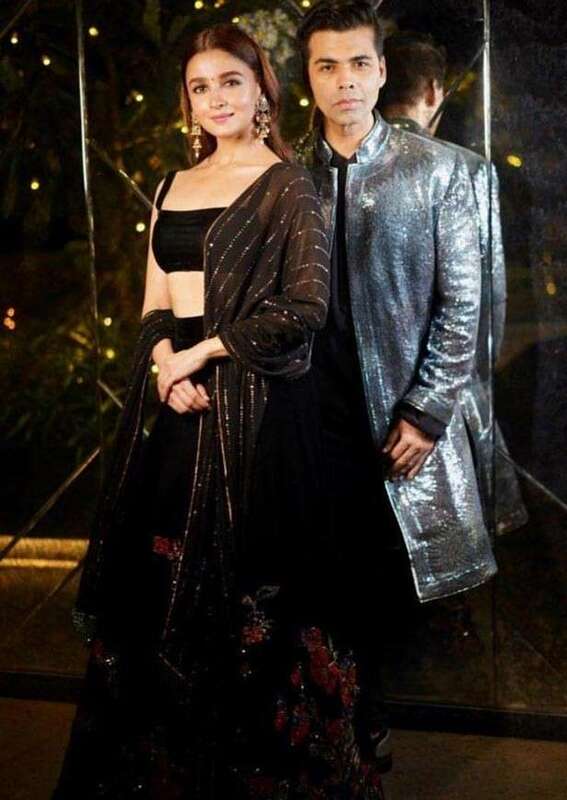 Starting from Aamir Khan, Salman Khan, Kareena Kapoor, Alia Bhatt, Shilpa Shetty, Kajol, Karan Johar, Katrina Kaif, Karisma Kapoor Shraddha Kapoor and Sara Ali Khan amongst others marked their presence at the event. And, just like the glittery decorations, these celebrities were also shining brightly in their traditional attires. 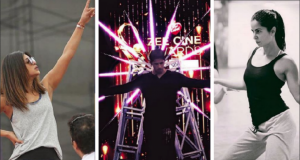 Just scroll down our gallery and check out your favourite celebrities in their festive avatar. 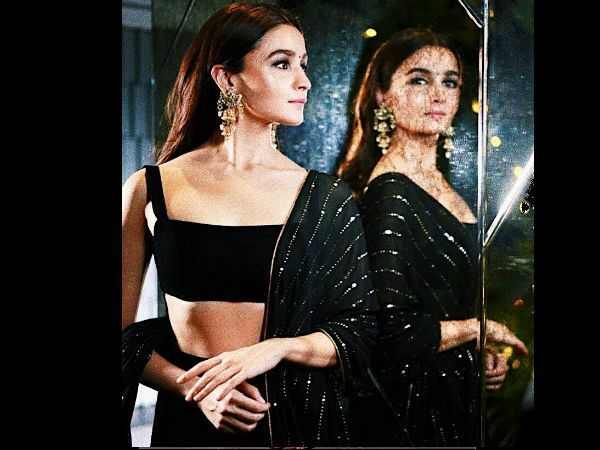 Black seemingly was the colour of the night. 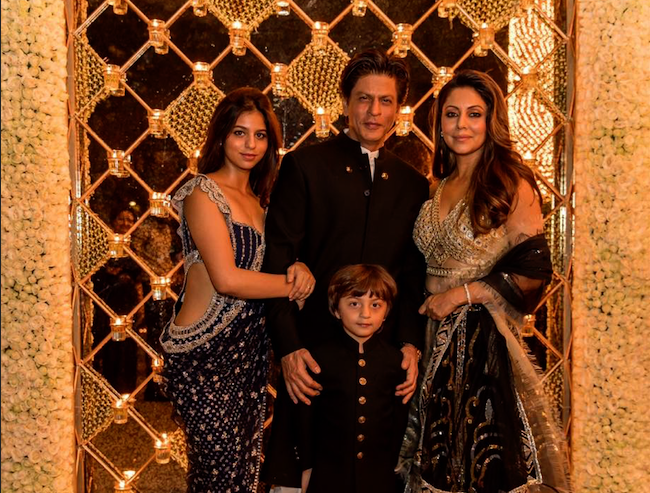 The Khan family was looking every bit royal and we bet you will be delighted to see their pictures. 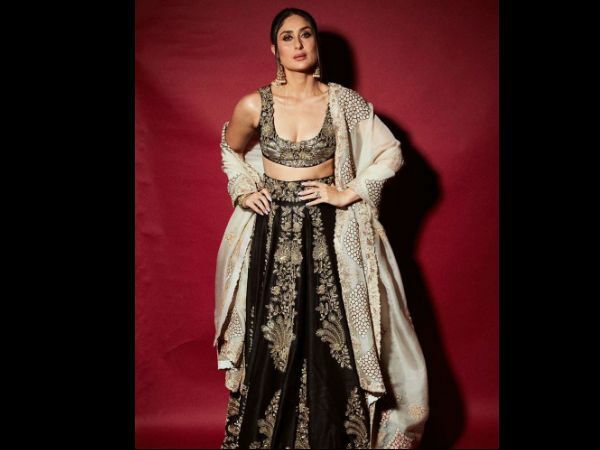 Bebo, Kareena Kapoor Khan channelled her inner begum in a startling Anamika Khanna creation and nailed the traditional look. Sara Ali Khan selected a glittering golden lehnga set for the evening. Alia went for a smouldering number by Shyamal & Bhumika. Katrina Kaif was a sight to behold in a breath-taking saree by Sabyasachi. 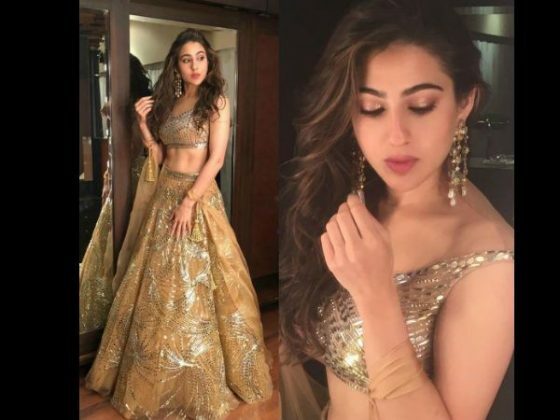 Malaika kept it raw with an elegant ghagra from Raw Mango by Sanjay Garg. 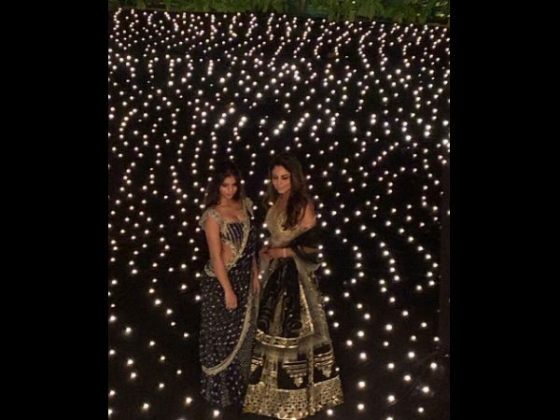 Shraddha Kapoor ups the glamour quotient in this Kresha Bajaj ethnic wear and we’re simply loving her festive look! 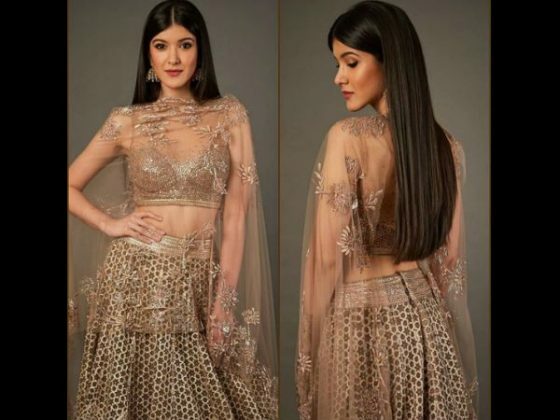 One can never go wrong with Sabyasachi lehenga. 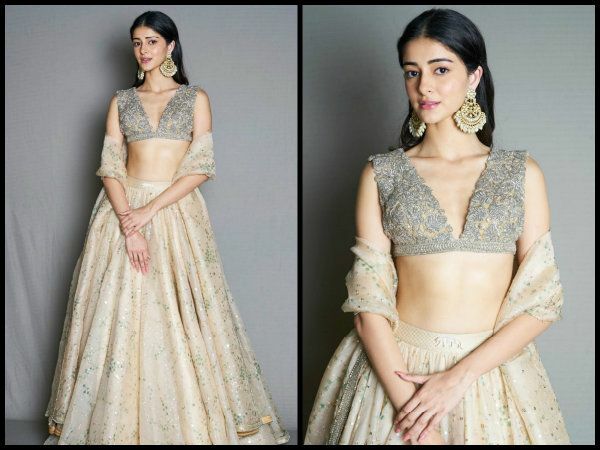 Ananya Panday selected lehnga set by the brand and looked adorable. 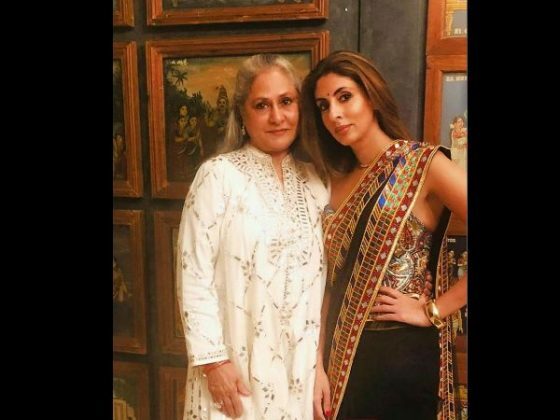 The mother-daughter duo opts for Abu Jani & Sandeep Khosla couture for Diwali party and they look simply beautiful. 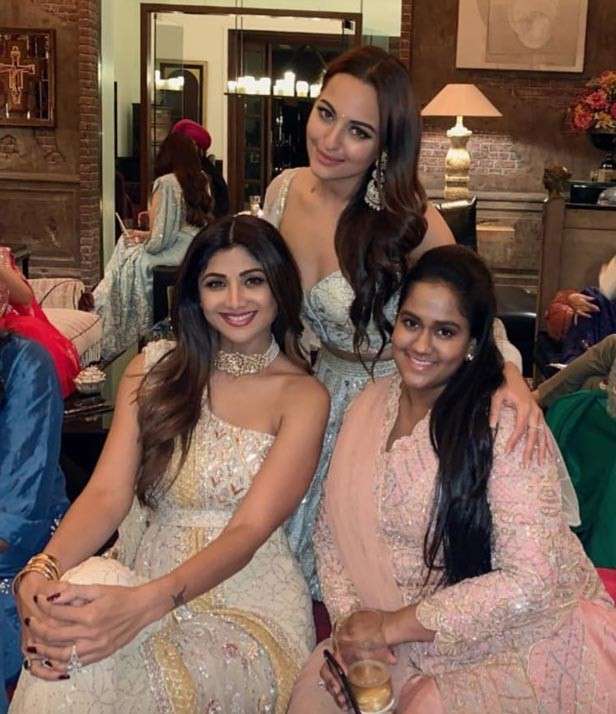 Shilpa Shetty selected an unusual and beautiful Sharara set designed by Manish Malhotra. 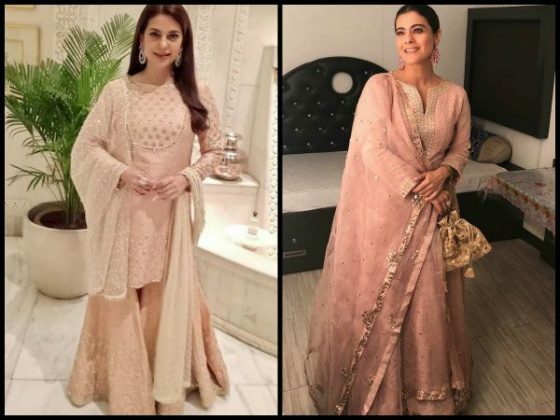 Jacqueline Fernandez, who’s known for keeping fashion on tips impressed everyone and looked like a dream girl in this lavender saree.